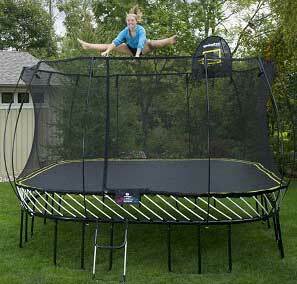 Review of 16ft “Magic Circle” Octagonal trampoline from Kidwise. Even though we knew this is a 16 foot trampoline we really were surprised by it`s size. When assembled looks like you can perform any trick you want on it. It definitely has one of the biggest mats on the market. 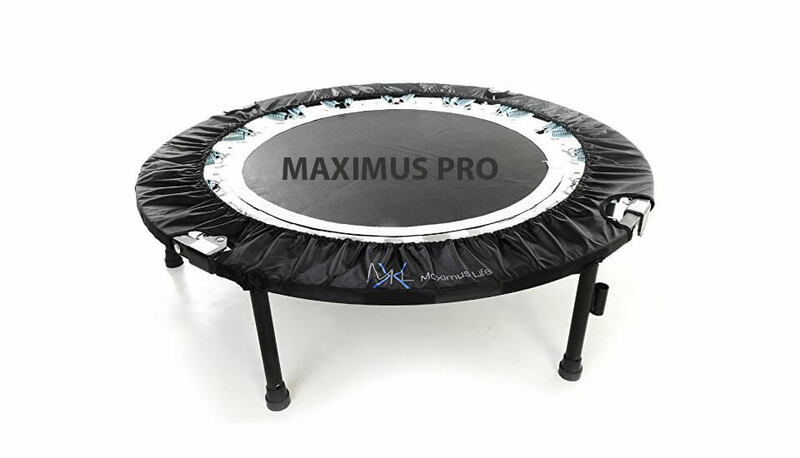 This is very strong trampoline, with declared 450 lb/200 kg weight limit. While most of competitors have from 200 – 250 lb/100-120 kg weight limit we were sceptic what kind of bounce would we get. First thoughts were that this is more of a playground for kids than bounce & training trampoline but quality of mat itself and 112 springs around it shown how wrong we were. Optional Magic Cage enclosure -recommended. Assembles in approximately 45 minutes or less when 2 people used to assemble. 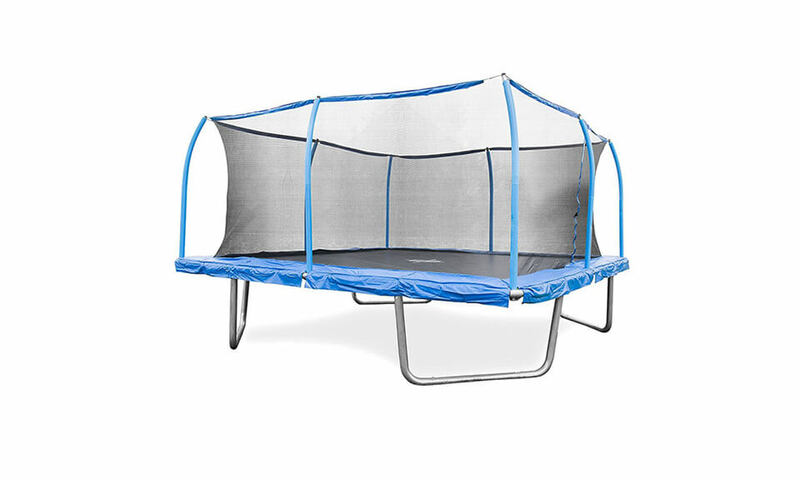 Frame is made from 14 gauge galvanized steel, 1.9″ in diameter, with 4 one-piece rails and 4 one-piece legs which give this trampoline nice octagon shape. As this frame is one the thickest we ever saw it isn`t strange that manufacturers give 10 year warranty on it (yes, it really is TEN years) on frame and all steel parts + 1-4 years of warranty on all other parts (mat, enclosure, pads etc). Safety pads of this trampoline are sewn from 8 oz. ultra-violet protected vinyl. Pad is made from poly-urethane foam resistant to impacts. Padding`s are being held in place by a spring through a pocket at each end and additional elastic ties which ensure that pads is over rails and frame at all times. 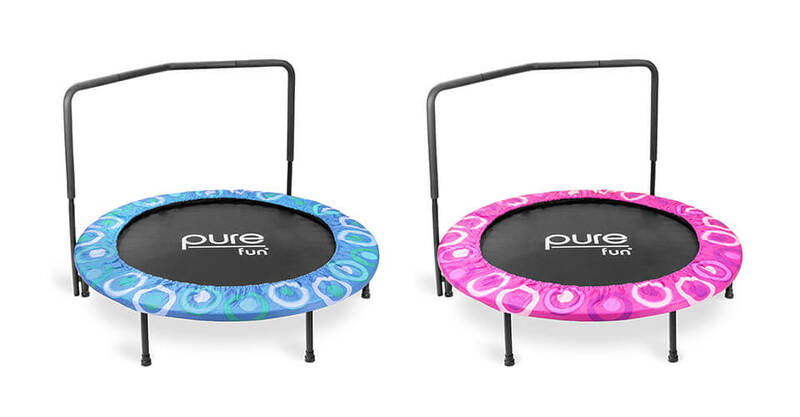 Neath thing is that this trampoline includes eight frame pads which come free with every order, and guess what, you can even choose from seven different color combinations (green, yellow, purple, green-purple, purple-yellow, green-yellow, and lastly, combination of all those colors – green-purple-yellow). Enclosure system (called “Magic cage”) is sewn directly into the jumping mat keeping your children away from all steel parts. The biggest surprise was that enclosure itself is made from same polypropylene fiber material as the jumping mat. 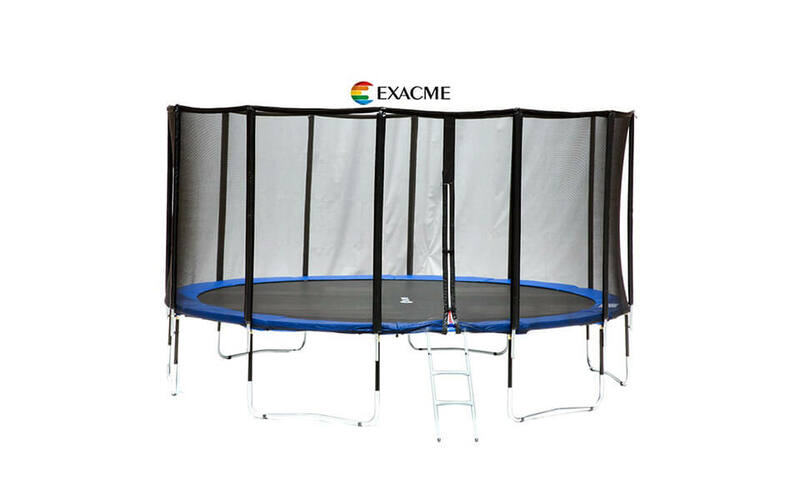 We always encourage people to buy enclosure together with trampoline. 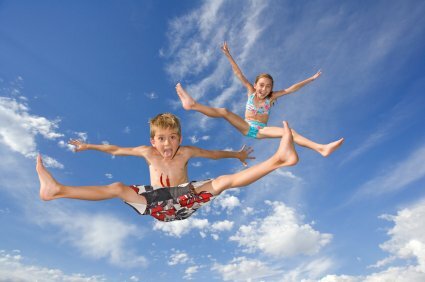 It will keep your children safe (safe as they can be on trampoline). 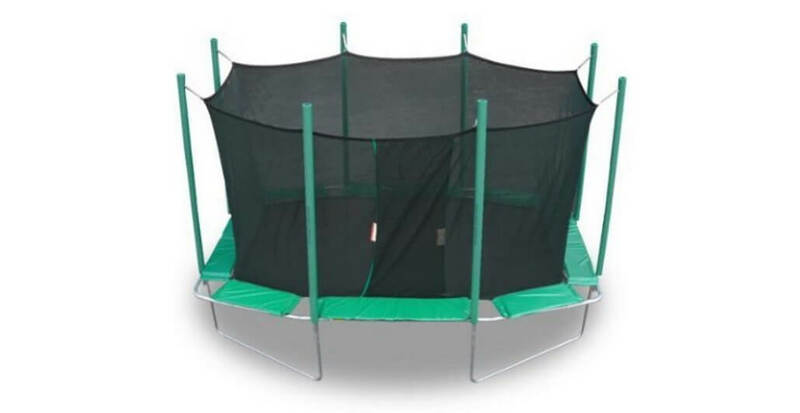 Enclosure can be purchased separately or in combo with this trampoline with approx. price of $200 (may vary). Even though it is advertised that it is easily assembled by one person, it requires 2 people plus an hour or more to assemble. Unless you have more that two arms :) And really, this is only major drawback we had on this trampoline! Highly recommended. Still not interested? 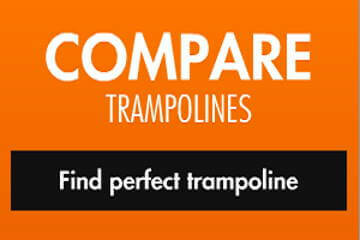 Check our reviews of top rated trampolines! 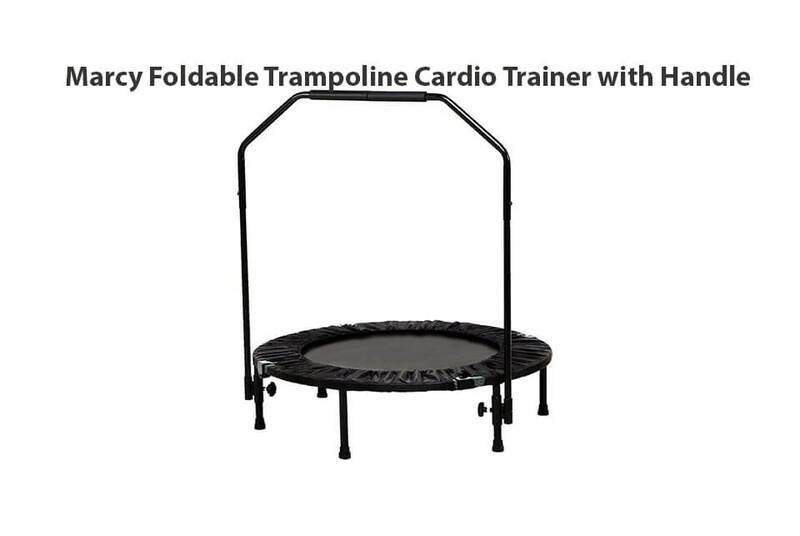 Great trampoline, very easy to put together and with good quality parts. Nice high and smooth bounce!